Barring an unexpected act of God, you will likely find me at a Ben Rector concert when he passes through Chicago. The date his tour comes to the Chicago Theatre I am unfortunately three states away. So my wife and I swung up to Grand Rapids for the third stop on the “Magic Tour.” The venue (20 Monroe Live) was sold out. The main level is standing room only (and where most of the under 30 crowd landed). We had center stage seats in the medium-sized 500-seat mezzanine. All in, the crowd was likely around 2,300 – which is a surprising number because this only 1-year-old venue in downtown GR has a more intimate feel to it, yet with a pretty high fan capacity. Over the next 30+ minutes, we were delightfully crooned by one of the best singer-songwriters today. I was struck that the concert felt a bit more mellow than I had expected. This was at least the 5th time I saw him live, so I knew this wasn’t going to be a face-melting rock concert. It might have been a combination of band performance, song choice, and even the audience being quite chill – but I felt like something was missing. Then Ben did something I had never seen in the 1,000 prior concerts I’ve been to. 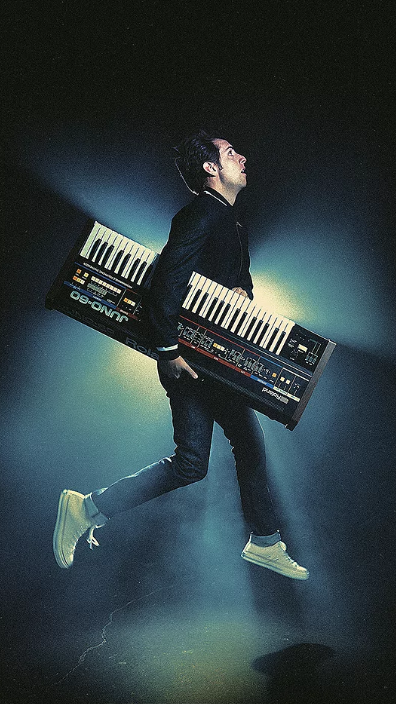 His band played the new song “Kids” with no stage lights… all focus on a fun montage of nostalgic moments from classic childhood movies of the 80s and 90s, including E.T., Ferris Bueller’s Day Off, The Lion King, The Sandlot, and over a dozen others. It really was a work of art – the video, the song, and the shared emotional experiencing of corporately revisiting iconic moments from our childhood. The audience applause didn’t end at the normal 10-second mark – it kept going and growing. Eventually the entire mezzanine level gave that performance a mid-set standing ovation. I stood alongside with goosebumps on my arms and a tear-filled eye lid. It was 100% worth the 3.5 hour drive to see this concert. 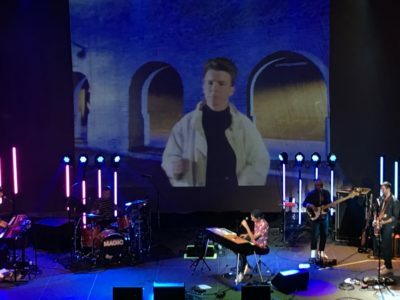 The use of video during the live songs was produced excellently (including authentic home videos of Ben’s childhood friends) and put a surprising emotional bend to the night. The good news is that the huge “Magic Tour” has only just begun and is traveling the country for the next 7 weeks. I highly encourage you to make every effort to experience it first-hand – it will surely be one of the best concerts you see this year.